PC Display (Graphics) card issue: You observe following display issues. I: You see a blank display screen. II: Display is very hazy. III: Time to time you get Blue Screen messages. > Incorrect connection: if you have two display cards then make sure you have connected to the correct display card, also check monitor is getting power supply. > Display card driver issue, update the driver. > Video card is getting heated: Make sure your CPU fans are running and working as expected. 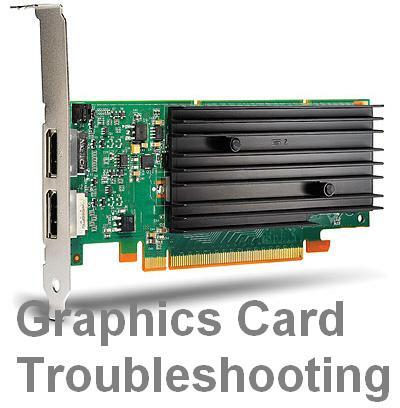 > Run Memory check utility: If video card manufacture provide memory testing tool, then download the tool and test video card memory. If updating driver, re-connecting card, fixing fan issue and running memory check does not help then prefer taking some computer technician's help.